Lancashire shop front company supply and install quality aluminium and frameless toughened glass shop fronts in and around Windes, Liverpool, Merseyside and north west. We have all types of aluminium sections in stock and accommodate and desired shop front design. 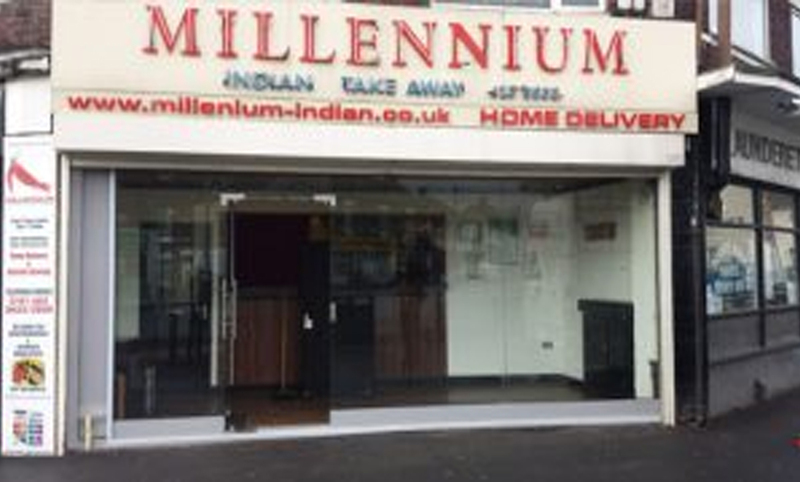 Recently we have supply and install Toughened glass shop front for Millennium Indian Takeaway.